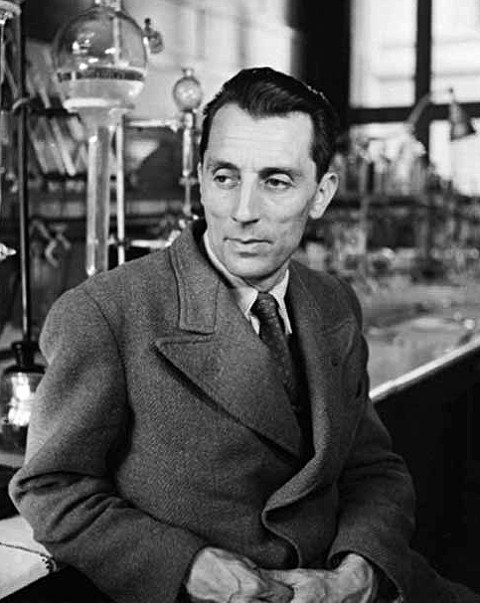 French physicist and physical chemist who while personal assistant to Marie Curie, married her daughter Irène. He and his wife collaborated in Nobel prize-winning research on nuclear transmutation of atoms. Quoted in Dictionary of Scientific Biography. 1 Collected in Frédéric Joliot-Curie, Textes Choisis (1959), Vol. 3, 82. Also quoted in Michel Pinault, Frédéric Joliot-Curie (2000), 70, (published in French). Text by Webmaster, with quote as translated in entry by Francis Perrin, 'Frédéric Joliot-Curie', in Charles Coulston Gillespie (ed. ), Dictionary of Scientific Biography (1973), Vol. 7, 153. 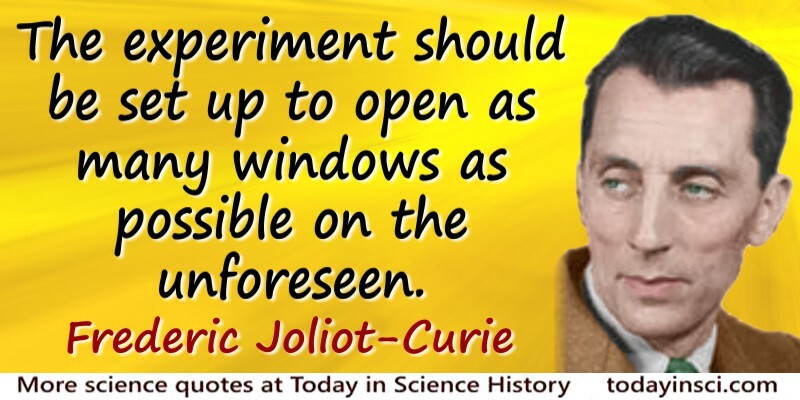 Science Quotes by Frederic Joliot-Curie. 19 Mar - short biography, births, deaths and events on date of Joliot-Curie's birth.